Our final hike of the week was farther up on Skyland Drive, just off of mile 21. This hike starts on the Sugarloaf trail. The forest is newer here, with fewer trees and more bushes, such as rhodendeandrum. Although we didn’t get started until 11 am, we were clearly the first on the trail. Talk about spider webs! I must have looked like a mad women as I used my trekking poles to try to get the spider webs before they got me! The gentle descent brought us to a T junction with the PineyBranch Trail. After going left we quickly ran into the Keyser Fire Road. This, quite frankly, was a bit boring. 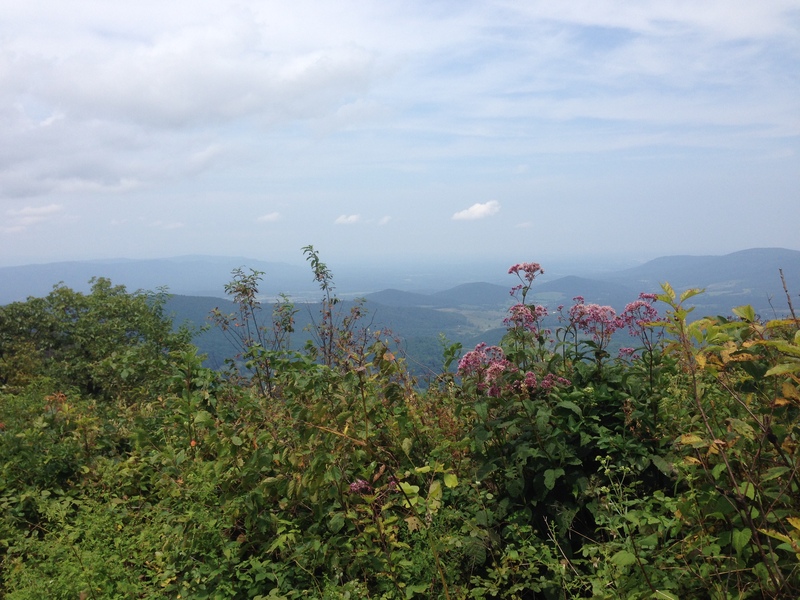 However, it was an easy trek back up to Skyline Drive. From here, we crossed the road to go on the A.T. The ascent to the summit of Little Hogback Mountain offered a very nice few. We then continued on until we started zigging and zagging up to Hogback Mountain. After all our big ascents and descents, it was nice to have one more opportunity to huff and puff up a hill! Luckily, we seem to be getting better at this and we didn’t complain the entire way. It was fun to be on the A.T. in Virginia. We’re getting a real sense of the trail and I’m really enjoying it. We completed the 4.9 mile hike in about 2 1/2 hours. Not bad! I’m happy we had a chance to do this trail and experience a different part of the Park. 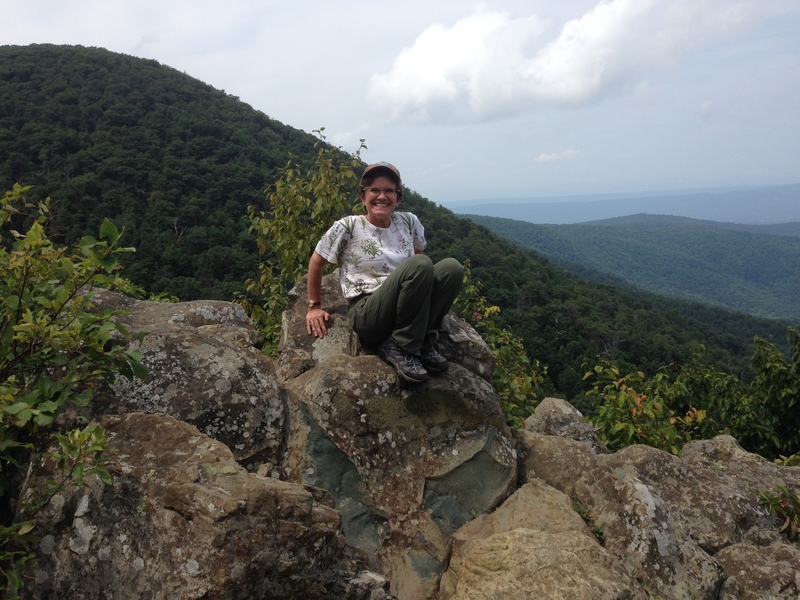 This entry was posted in Maple's Jots on Jaunts and tagged Appalachian Trail, Day Hike, hiking, Shenandoah National Park, virginia hikes, weekend hikes by Maple. Bookmark the permalink.